Bradford Bulls have extended the loan spell of Warrington forward Danny Bridge until the end of the season. 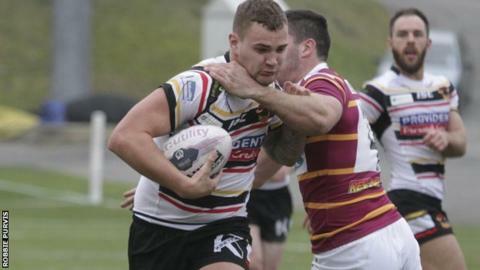 The 21-year-old joined the Bulls in February and has made seven league appearances for the Odsal side. "He has worked very hard and I look forward to seeing what he produces in the coming weeks and months," coach Francis Cummins told the club website. "Danny is hugely talented and still very young, meaning he has a bright future ahead of him." As part of the agreement, Ireland international Bridge can be recalled by the Wolves at any time.